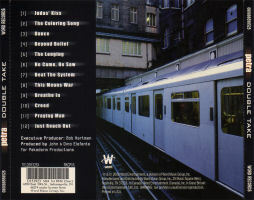 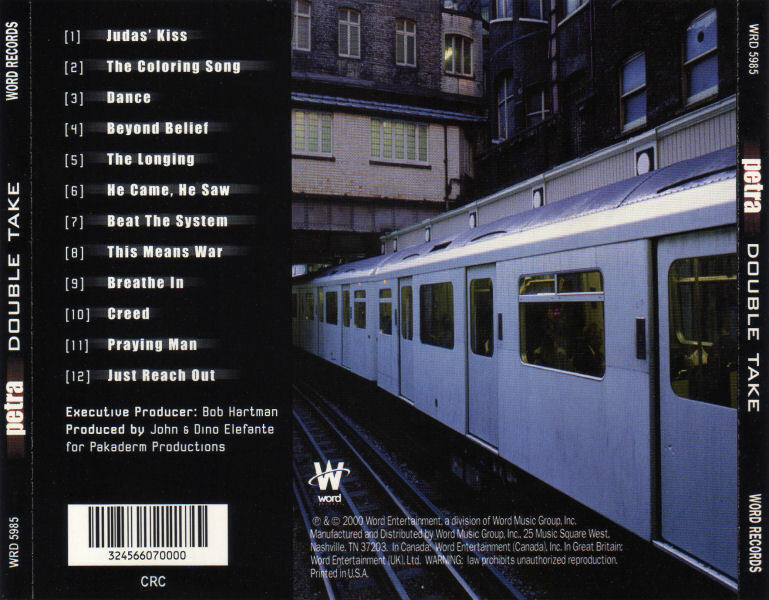 Originally from the album: This Means War! 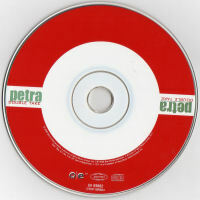 Trent Thomason only played six live-shows with Petra in the summer of 1999. 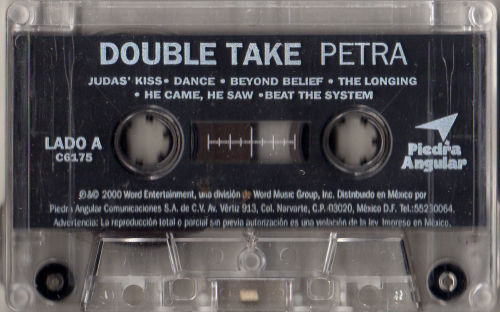 At the time he was located in Australia and was not able to move back to the States to join the band for more shows. Petra was invited to host a Real Videos tv-show. 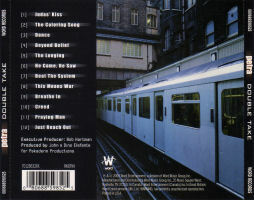 The recordings were done at the Spirit West Coast festival (31-July-1999) and later in the year the tv-show was broadcast. 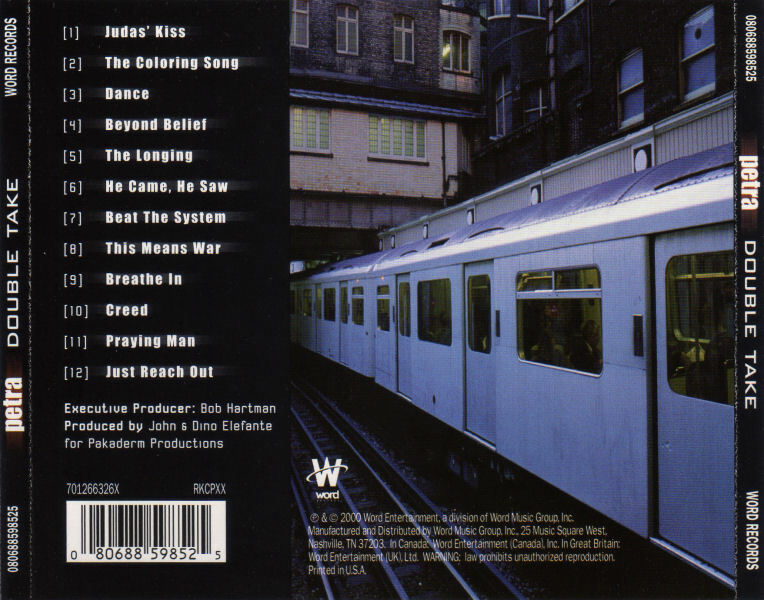 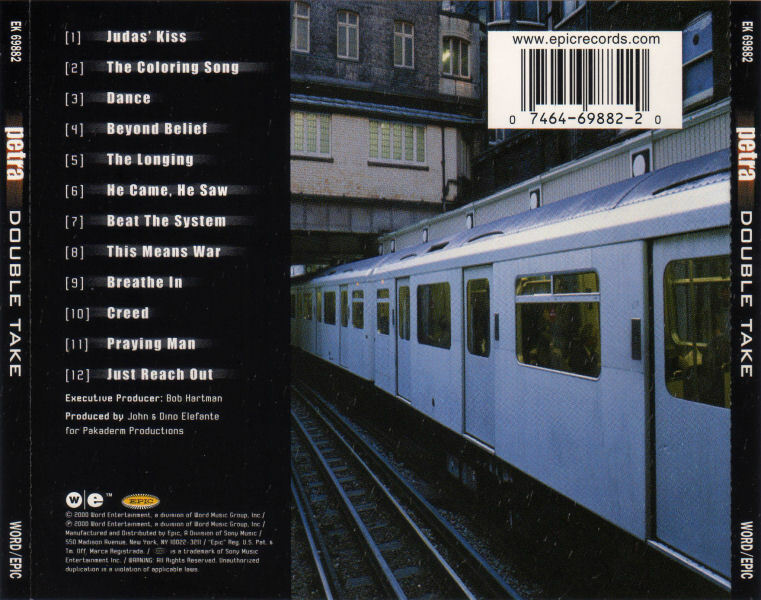 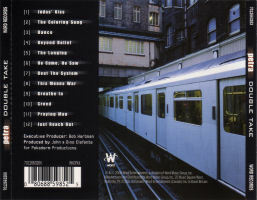 The album was to be released in October 1999, but Word Records decided to postpone the release until February 2000. 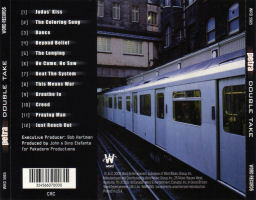 As a result of this the prerelease has 1999 copyrights and the regular release 2000 copyrights. In June 1999 Petra had finished a six-song demo. The songs on this CD are not the album-versions. 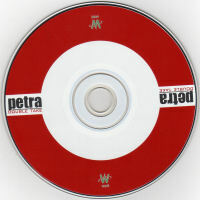 Petraspective has a copy of this CD. 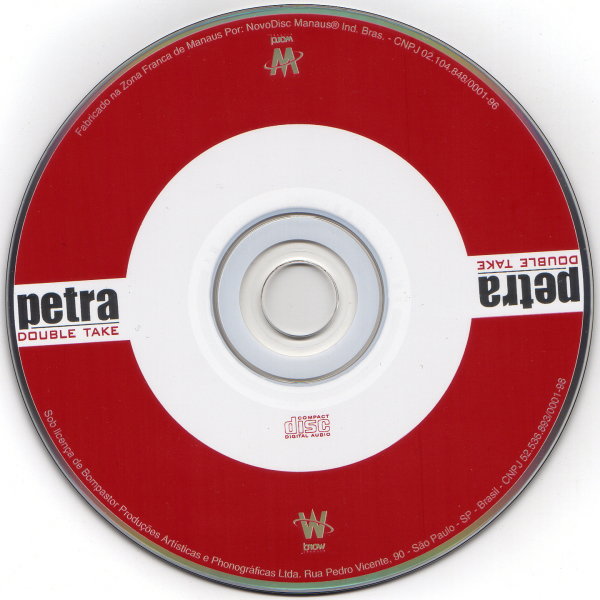 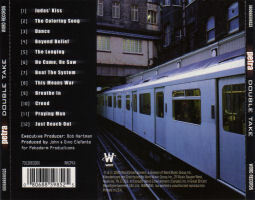 Together with the 1974 debut-album and the 2005 Farewell album this is the only Petra-album where the lyrics are not printed somewhere in the artwork. 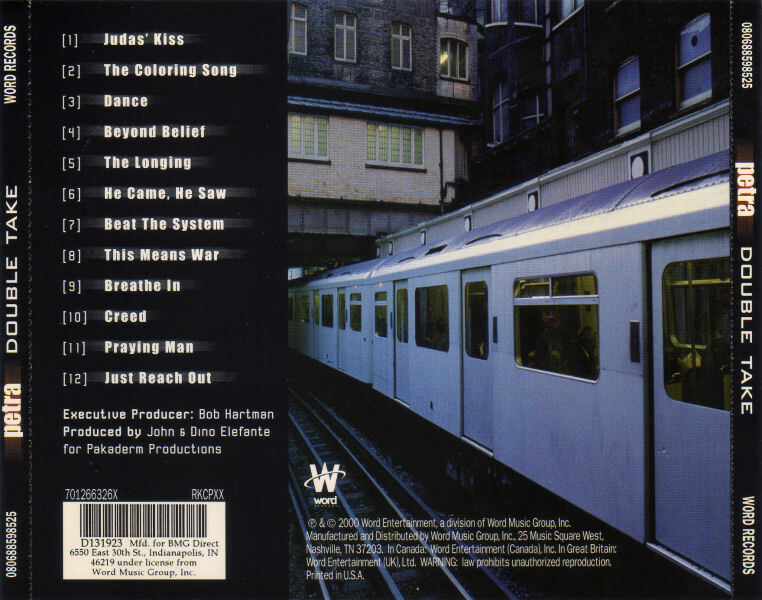 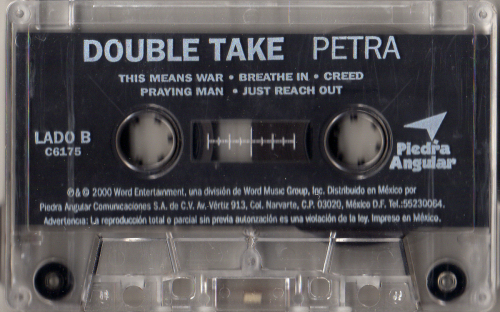 Guitarist Pete Orta sang lead vocals on "Breathe In", but he isn't credited for it. 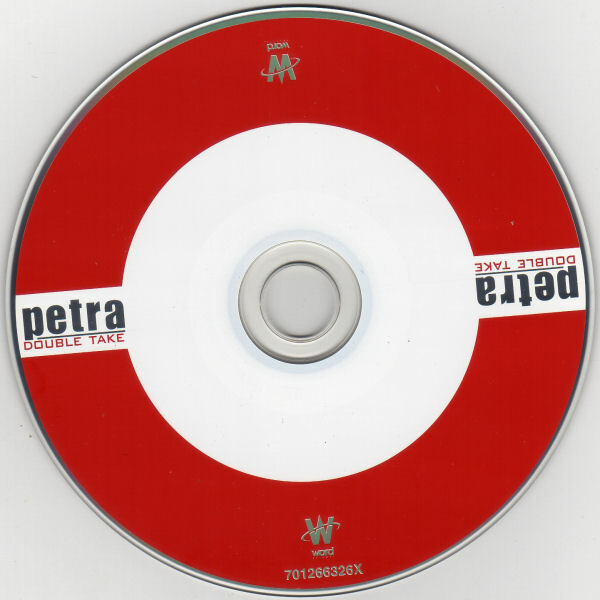 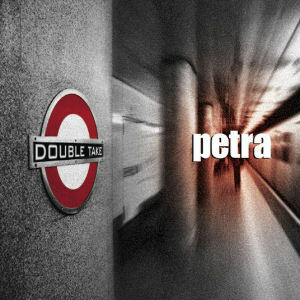 Double Take was Petra's last album with Word Records and also the last album with the Elefante brothers as producers. 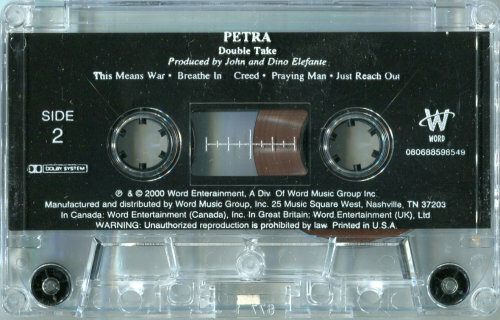 (p) & © 2000 Word Entertainment, a division of Word Music Group, Inc. | Manufactured and distributed by Word Music Group, Inc., 25 Music Square West, Nashville, TN 37203 | In Canada: Word Entertainment (Canada), Inc. | Great Britain: Word Entertainment (UK) Ltd. | Printed in U.S.A.
(p) & © 2000 Word Entertainment, a division of Word Music Group, Inc. | Manufactured and distributed by Word Music Group, Inc., 25 Music Square West, Nashville, TN 37203 | In Canada: Word Entertainment (Canada), Inc. | Great Britain: Word Entertainment (UK) Ltd. | Printed in U.S.A. | Mfd. 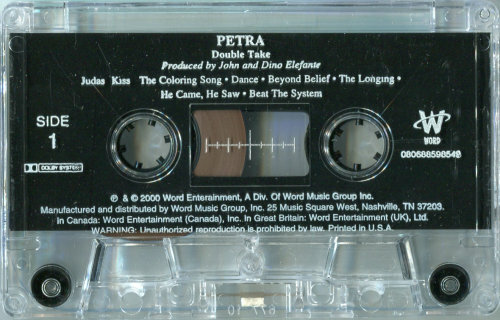 for BMG Direct, 6550 East 30th St., Indianapolis, IN 46219 under license from Word Music Group, Inc.